Transportation Services offers pay-by-phone parking in more than 20 lots and garages. To view the locations, and the ParkMobile lot codes, click here.. In order to access the “Start Session” page on ParkMobile’s new website, customers will need to navigate to “Go to On-Street Parking”. See the lower right portion of this screenshot. To take advantage of pay-by-phone parking, create a free account online at Parkmobile.com or on their mobile app (Android download / Apple download). The ParkMobile app may also be downloaded onto any tablet for use in outdoor lots only. To start a parking transaction with the app, input the zone number found on the meter sticker or nearby ParkMobile signage in the lot. Select the amount of time you wish to park, touch the start button to confirm the transaction, and you’re all set! If you have a question or are experiencing an issue in one of our lots, please call (414) 229-4000 for assistance. Learn more about how to use ParkMobile. Watch the video above to learn more about how to use ParkMobile. 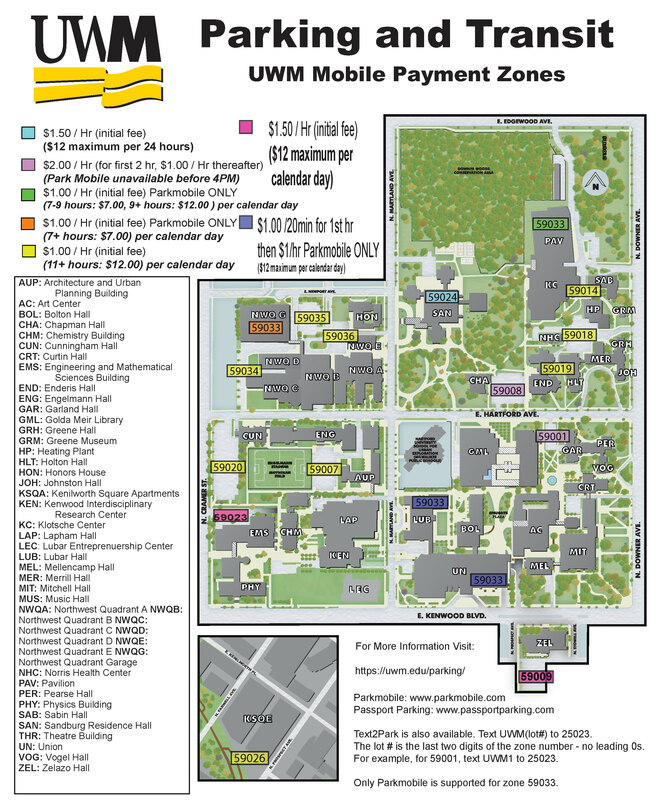 Pay by phone via ParkMobile (Android download / Apple download) for these four parking lots; Northwest Quadrant (NWQ), Union, Pavilion, and Lubar. ParkMobile also sends an alert fifteen minutes before time expires so you can extend your parking transaction, where available, wherever you are, meaning gone are the days when you will need to hurry back to feed the meter or pay station!